It has been a while since I have written a casual article for you all to read. To be honest, almost a year have passed by while I’m still struggling to find time for my reading and writing. In week days, I find myself busy at work, and consider any free time as lucky time if I was able to squeeze in family and of course workout. In weekends, I perhaps get to be even busier, with very early morning starts, longer workout hours, family time and trying to catch-up with the weekdays’ leftovers. Yes I haven’t done a lot in the online world, but to the physical one, I do not regret my hectic schedule one bit. Being busy means doing something either for you, or for someone else. There’s never a time, unless you’re playing online video games, that a person is busy with nothing to do. So the more you’re busy, the more work you’re doing, the more ultimately someone will benefit, perhaps not necessarily in a commodity or financial sense. 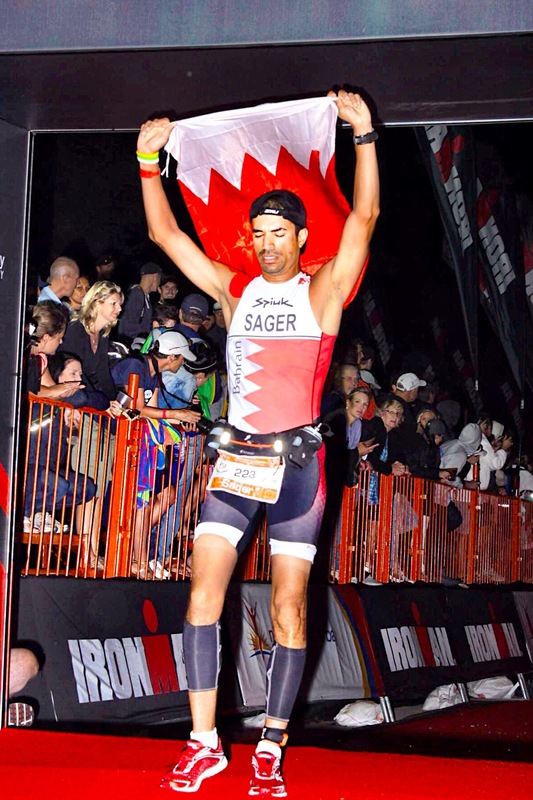 In the past year or so, I’ve been indulging myself in reaching to Bahrain’s social community and as well as to the rest of the world through the sport of Triathlon. It is clear by now, to almost everyone in sport in this part of the world that His Highness Shaikh Nasser Bin Hamad Al Khalifa, the son of His Majesty the King of Bahrain, have rediscovered his physical and mental strength in swimming, cycling, and running, AKA Triathlon. Together, we all saw how this specific sport has numerous positive messages to send to every active/inactive individual. A positive message that cures the heart, mind, sole, and body from all the disturbances that us human beings receive from our daily boring routines. Thus, we decided to get busy, working ourselves and others toward developing the sport of triathlon. In the past 12 months, I have done triathlons in Bahrain, Germany, Florida, Philippines, Abu Dhabi, and South Africa, two of which were Full-Iron Distances consisting of 3.8km Swim, 180km Bike, and 42.2km run. Each event would require at least 3 months of training, so you do the math. Oh, and I almost forgot, throw in my bike accident where I dislocated my AC joint (stage 5) and underwent a surgery to install a clavicle metal hook plate on December 31st 2013, which requires 6 months of doing nothing but light physiotherapy, which should start 3 months after the operation. If you were a close follower, you would know how much of that advice I followed. In the first three months after the operation, I have do e the hardest half-iron distance on the world (Philippines) and a full-iron distance, Ironman South Africa. Only a couple of weeks before my bike accident, His Highness issued his orders to establish Bahrain Triathlon Association, one of the happiest days of my life. More than that actually, and as I mentioned Ina previous article, I was appointed the President, which puts on my shoulders tremendous responsibility to take triathlon in Bahrain to the next level. Of course, I needed the perfect team that would match the leadership and my ambitions, and I believe I got just that. We are still collecting our thoughts, but we know where we want to go, and we know that we are fully supported by the great people in Bahrain’s sports discipline. But get this, what keeps me going is the belief and anxiousness that I have, knowing that I am working for my society. The people always deserve more, more from those who are able and capable to give back to this wonderful society that has nestled us since our early days in life. Yes, more than 50% of the time I give towards my busy schedule is actually not financially rewarding at all! But the satisfaction I get from giving back to society is just priceless. I have said to myself a while back, there is a big difference between remembering a person and saying “he was a rich man” or “he was a good man”. As far as it is going for me, my hope will always remain wishing that my family, friends, and the society I live in consider me a “good man”. This way, I would know that I am on track and would not mind one bit sacrificing myself to spread love and make the world a better place, through various means that includes triathlon.